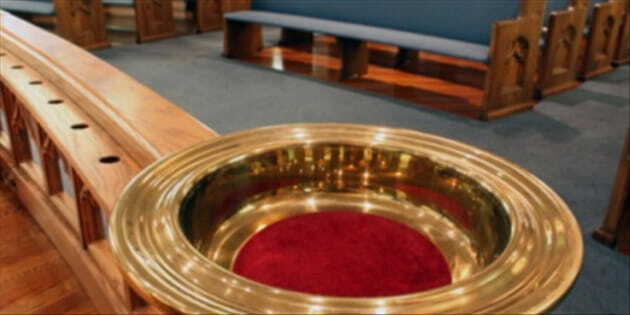 Do members of your church seem reluctant to tithe? Do you know why? For many Christians, the issue of money is a touchy one. Mark Leeson of Fontana, Calif., says he tunes out whenever a pastor discusses giving. Part of his distaste stems from hearing televangelists who prescribe giving as the way to gain riches. Too often, says Leeson, these personalities link failing to give with a lack of prosperity. "Do we really need to buy God's blessings?” he wonders. Marcy Peters of Nashville, Tenn., understands that giving is a biblical mandate, but she questions whether a 10 percent “tithe” still applies to Christians today. "Isn't tithing an Old Testament concept?" she asks. "I don't think Paul ever talked about tithing." Peters is not alone in her confusion. In 2006, Ellison Research surveyed 1,184 people who attend Protestant churches at least once a month. Only 36 percent of respondents said they believe there is a biblical command to tithe 10 percent to their local church. Another 23 percent believe there is a biblical mandate to tithe, but not necessarily to the local church. Twenty-seven percent feel the Bible commands Christians to give, but not a set proportion or amount, while 10 percent believe Christians are under no mandate to give anything. If you follow this pronoun from 1:6 to 3:12, Kelly continues, it is evident that it does not change. It is the priests, not the people, who are cursed four times in Malachi 1:14 and Malachi 2:2 because they had stolen from God. The priests’ question in Malachi 2:17 is answered with a severe chastening in Malachi 3:1-5. A website called Truth or Tradition.com contains an extensive article on tithing that claims we must first understand what parts of God’s Word are written to Jews, what parts are written to Gentiles, and what parts are written to Christians. According to Truth or Tradition, we are currently living in what the Bible calls the Administration of the Secret (Ephesians 3:9), which began on the Day of Pentecost (Acts 2) and will conclude with the rapture of the Church. At this point, you may be thinking it is time to dust off your sermon notes on tithing. Or, you may need a few key arguments at your fingertips when a church member objects to tithing. During a recent phone interview, Andrew Hill, professor of Old Testament Studies at Wheaton College, provided a primer on tithing, answering the most common objections. Hill says he likes to put all of the Biblical texts about giving together as a whole to extract principles that would be helpful, as opposed to emphasizing one or two verses against other verses. "It is true that there really is no carry-over stipulation in the New Testament to give a tithe,” says Hill. “Ten percent seems to be an assumption rather than a given imperative.” According to Hill, the only real verse we have is the teaching of Jesus in Matthew 23 where Jesus admonishes the religious people of His day for being so careful about tithing even their spices. They'd forgotten about the greater principles of justice, mercy and faith. Jesus, at that point, says the leaders should have done the former – kept the tithe – but added the other components to it.